On the verge of turning 24 years old, in the early autumn of 1971, I was asked to become the first poetry editor of a magazine its founder and publisher, Ted Reidel, intended to call Bachy. The name was meant to be a diminutive of his bookstore, Papa Bach Paperbacks. He put an advertisement in the Los Angeles Times announcing his new magazine and submissions started arriving. He gave me a desk in the upstairs loft and I worked there in the evenings after finishing my shift as a blueprint machine operator. I myself was an unpublished poet, and cannot account for Ted’s decision to entrust me with this role other than he must have had a great deal of faith in his one of his employee’s opinions. I had gone into the store to buy some poetry books in the late summer and had struck up a conversation with William (“Koki”) Iwamoto, who was working behind the counter. He invited me to read at an upcoming open reading at Papa Bach, and it was in the week after this reading that Koki said that Ted wanted to talk with me. He said he couldn’t pay me to work as the poetry editor, but that he would be happy to offer me a job at the store. I was making twice as much money as a blueprint machine operator, however, and overtime was helping me accumulate some savings, and so I remained strictly a volunteer presence at the store. Koki left within six months to start his own store, Chatterton’s, on Vermont Avenue. He, too, offered me a job, but that would have meant moving to the other side of Los Angeles and made visiting the Beyond Baroque workshop a long trek. One day, the pile of submissions included a fairly large number of poems from Charles Bukowski, whose poems I was not particularly enamored with. I did not own any books by Bukowski, but there were plenty of copies of Burning in Water, Drowning in Flame for sale at Papa Bach, and since I had heard other older poets at Beyond Baroque talk about his poetry, I spent some time with the book in the Papa Bach loft. His use of enjambment seemed far too arbitrary to suit my preferences for Hart Crane and John Berryman. On the other hand, I had seen some of his poems in the early issues of INVISIBLE CITY, and liked those poems much more. I was both excited and nervous as I read Bukowski’s submission. I knew that if I did not like the poems, I would face my first big challenge in writing a rejection note. Fortunately, I liked several of Bukowski’s poems much more than I anticipated and ended up including his poetry in the first issue of Bachy along with the work of several young poets I knew from San Diego State College as well as some young poets (David St. John and Roberta Spear) to whom Phil Levine had mentioned my magazine after I had visited him in his office at Fresno State. It was Bukowski’s close friend, John Thomas, however, who ended up having a more profound influence on my development as a poet and editor. His first eponymous collection of poems was a spiral-bound publication that I reviewed in the second issue of Bachy. 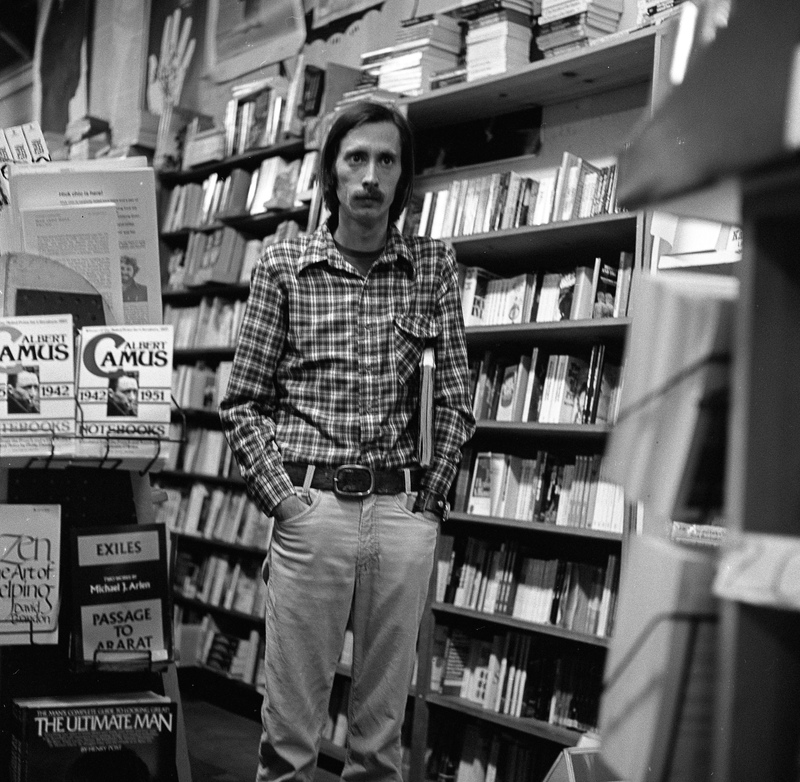 It was the general consensus in the community that Thomas was one of the best poets living in Los Angeles. He had stopped writing, however. Whenever a poem showed up in a magazine back then, it was simply a reprint of an earlier poem. No one seemed to mind. His poems were always worth rereading, and the respectful enthusiasm that Lee Hickman and Paul Vangelisti accorded Thomas gave his maverick aura a palpable voltage. Recently, Gerald Locklin sent me a poem that reminisces about spending some time with Thomas. As anyone knows who has studied Bukowski’s career at all, Locklin is one of the few poets Bukowski retained any respectful affection for over any significant stretch of reading. Locklin has often admitted that the secret of their friendship was to limit the amount of time they spent together, and especially the amount of time that they spent drinking together. Thomas was not anywhere near as interested in alcohol as Bukowski, nor was he inclined (or so he once said) to indulge in marijuana. He liked to read, and he claimed to abstain from anything that would impede that pleasure. As testified to by Locklin’s poem, Thomas obviously retained much of what he read. And could discuss just about everything. Today is the 20th anniversary of the death of Bob Flanagan, although this post happening to appear today is the result of pure accident. The photograph of Flanagan accompanying this post is from a set taken by Rod Bradley at a publication event for issue number 11 of Bachy magazine at Papa Bach Bookstore in the mid-1970s; I spotted the CD Bradley had given me with the photographs at my office last week and took another peek at them over the holiday weekend, at which point I decided to start work on a long overdue tribute to Bob Flanagan and his artistic collaborator, Sheree Rose. When I looked up Bob’s dates to get an exact bearing on his chronology, I found the anniversary of his death to be rapidly approaching, so I redoubled my efforts. It should be noted, by the way, that the title of this post is a reference to the words on the cover of a book in the lower left hand corner of the photograph. Flanagan began reading his poems around Southern California beginning in the mid-1970s, when he was still in his early 20s. In point of fact, I attended a festival of poets that included Flanagan in what had to have been his first reading in any venue that got public attention whatsoever. The “festival” took place in an unfinished, multi-story office building somewhere near downtown Los Angeles. I suppose it would be possible to dig through my archives and find the name of the hapless organizer and the exact address, but this was not an event that merits much more citation than Flanagan’s appearance, which stood out because of the contrast between his earnestness and the abundance of clichés in his poems. Flanagan was not born with a natural flair for vivid imagery. I distinctly remember listening to him read at that festival and thinking to myself that he had as little talent as any young poet I had ever heard. The old truism that talent is mostly hard work is certainly demonstrated in Flanagan’s case, for it was due to his determination to become a good writer that he matured into one of my favorite poets. In addition to his willingness to work very hard at becoming a better writer, he also had the advantage of being a member of the Beyond Baroque workshop, where poets such as Jim Krusoe and Jack Grapes continued his education in poetry outside of the academy. 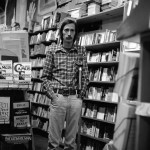 Given all of this poetry by Flanagan and the degree of his visible presence through frequent readings in Los Angeles, it is astonishing to realize that he is absent from all three editions of “Stand Up Poetry,” the first of which appeared in 1990 as a project co-edited by Charles Harper Webb and Suzanne Lummis. I suppose one has to take on faith the sincerity of the editors when one reads in the first slim volume (84 pages) that the 22 poets appearing in the book are merely representative of the Stand Up poetry movement and are not intended to be seen as the essential members of its first wave. However, Flanagan does not appear in either of the subsequent volumes, either. In fact, Flanagan is also absent from “Grand Passion,” which was also co-edited by Webb and Lummis, and which appeared in 1994, while Flanagan was still alive. In addition, his poems in “Poetry Loves Poetry” were among the very best one in that anthology. “Fear of Poetry” remains a classic example of a metapoem that should be studied by every young poet. It should also be mentioned that Flanagan’s prominence within the poetry community in the mid-1980s because his lover and artistic collaborator Sheree Rose was a very fine photographer. When I decided that full-page photographs of the poets should be included in “Poetry Loves Poetry,” it was Sheree Rose who drew the assignment of persuading several dozen poets to relax enough to let their private masks become somewhat visible in a public portrait. She did a superb job and I hope some day that Beyond Baroque can have a retrospective of her work. Finally, to square the paradoxical circle of his absence, I would also note that Flanagan studied at California State University, Long Beach, where Gerald Locklin taught for 40 years. Locklin and his colleague Charles Stetler are the poets known for using the title of Edward Field’s book, Stand Up, Friend, with Me, as the basis for a moniker to describe a kind of poetry that became increasingly popular in Southern California in the years after the Beat scenes in Los Angeles and San Francisco began a period of diminishing returns. Both Locklin and Stetler are in the first volume of Stand Up Poetry, along with another CSULB professor, Eliot Fried, whose poetry I had also published in the first issue of Bachy magazine in 1972. The line-up of poets in the first volume of “Stand Up Poetry” (Red Wind Books, 1990) is very impressive: Laurel Ann Bogen, Charles Bukowski, Billy Collins, Wanda Coleman, Edward Field, Michael C. Ford, Elliot Fried, Manazar Gamboa, Jack Grapes, Eloise Klein Healy, Ron Koertge, Steve Kowit, Jim Krusoe, Gerald Locklin, Suzanne Lummis, Bill Mohr, Charles Stetler, Austin Straus, Charles Webb, and Ray Zepeda. There are also two poets named Ian Gregson and Viola Weinberg. That the poems of Bob Flanagan and Scott Wannberg should have been there in place of Gregson’s and Weinberg’s is obvious now. On the 20th anniversary of his death, I would urge those who are looking for material to analyze through the lens of disability theory or queer theory to consider visiting that archive and to get to work. In doing so, it would also be worth remembering that Flanagan is an exemplary Stand Up poet and one of the primary members of the original core group. Those of us who were here in the early and mid-1970s know the accuracy of that statement, even if editors who didn’t arrive in Los Angeles until the late 1970s prefer a version that might reflect a fear of being tainted by Flanagan’s transgressive art. In equally emphasizing his stature as a Stand Up poet, critics might also consider how his writing fits within the Confessional school of poetry, which is all too often viewed as a movement with no important contributors after 1980. How about someone taking on an article with a stark contrast: Sharon Olds versus Bob Flanagan. Now that would generate an incandescence worthy of the audacious risks that Flanagan took and lived to tell about, far longer – decades longer – than anyone ever suspected he would, even those of who feel very lucky to have heard him read his poetry or to offer up his body to the demons of pain. Suffering is not redemption, but it is hard to know what is worthy redeeming if one does not suffer to test those boundaries. Flanagan’s art and poetry offer us a chance to redraw our boundaries and set off anew.